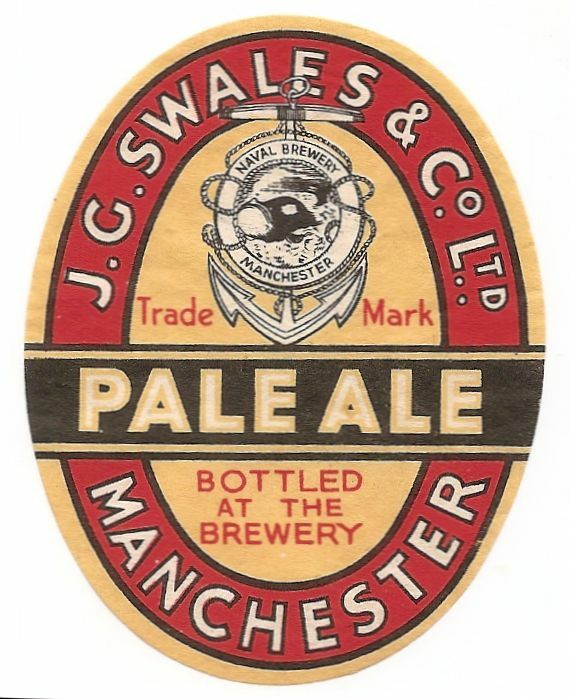 The first brewery was the Victoria Brewery, Salford, but in 1899, the Naval Brewery in Hulme, Manchester was purchased from Wilsons Brewery. 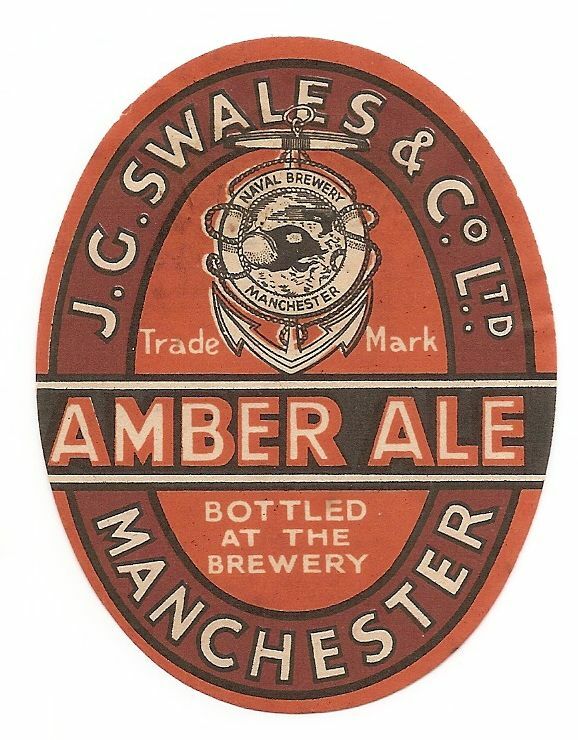 Farrimonds Newtown Brewery was purchased in 1946. 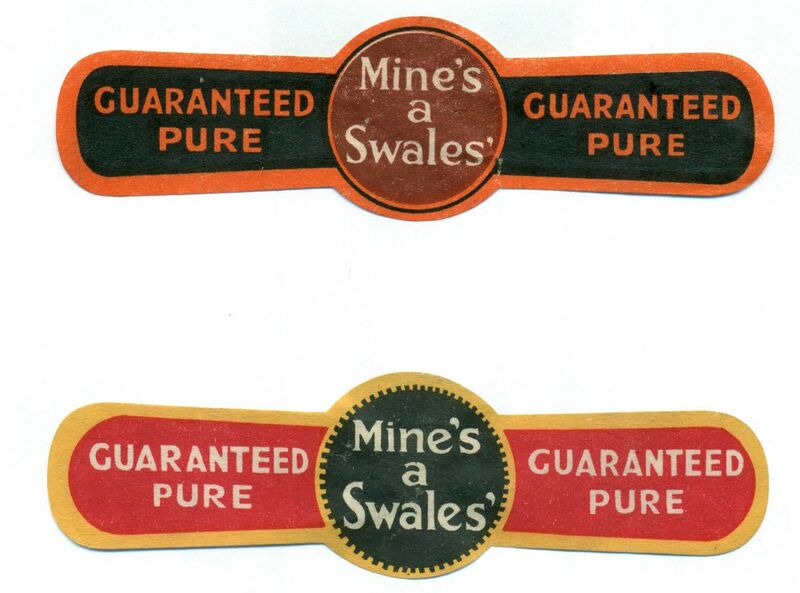 This dates the earlier labels to before 1946 although it is unlikely that new labels were printed during the war. 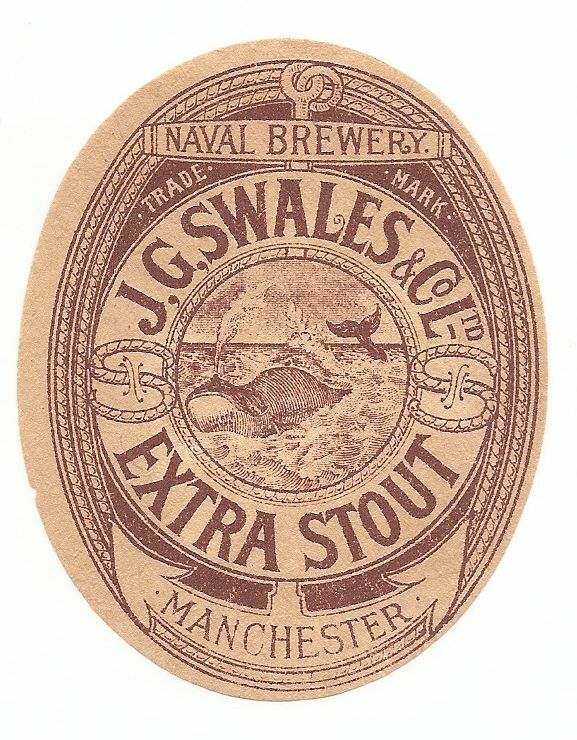 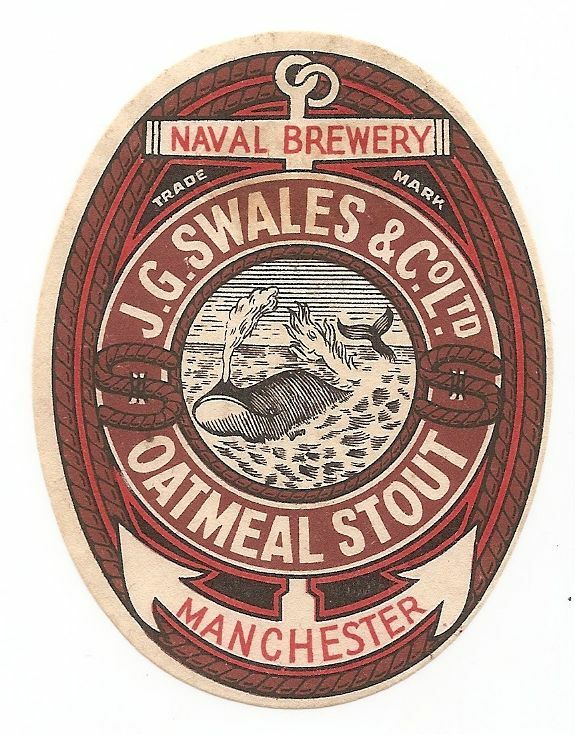 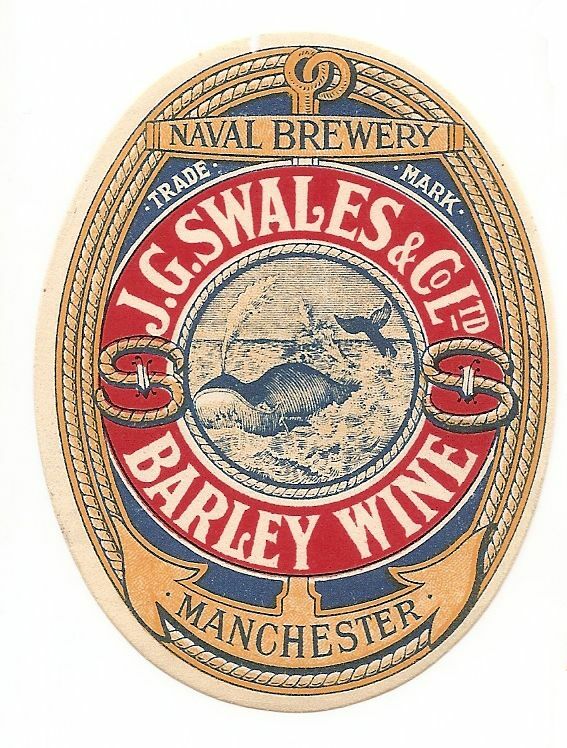 The whale, lifebelt, rope and anchor trademark was continued for a number of years and both Manchester and Wigan included on the labels. 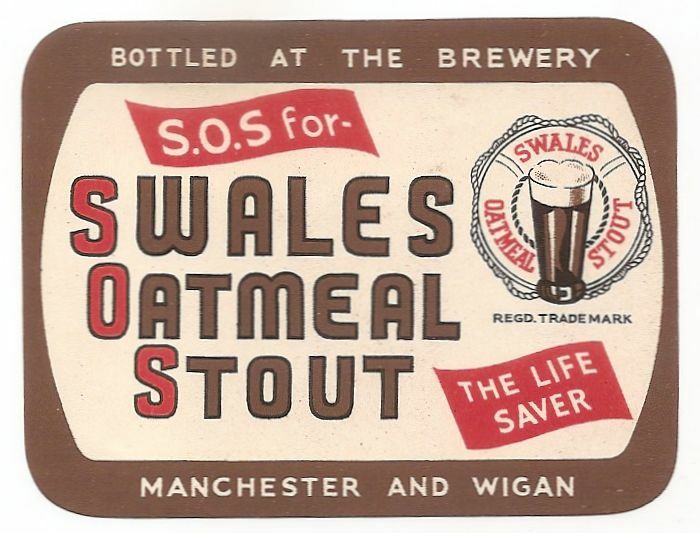 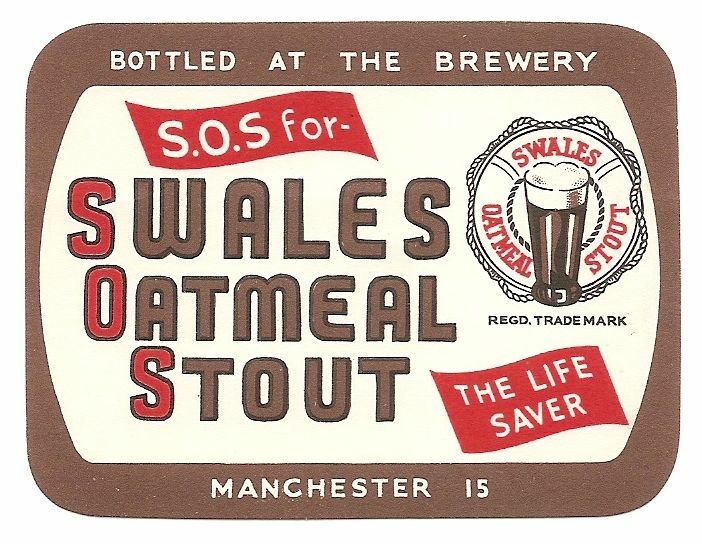 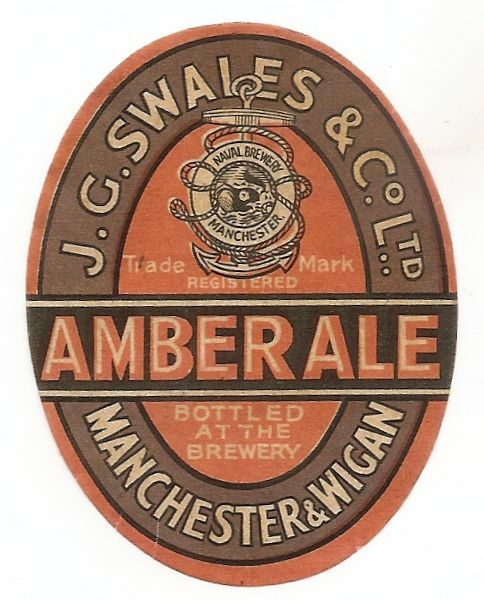 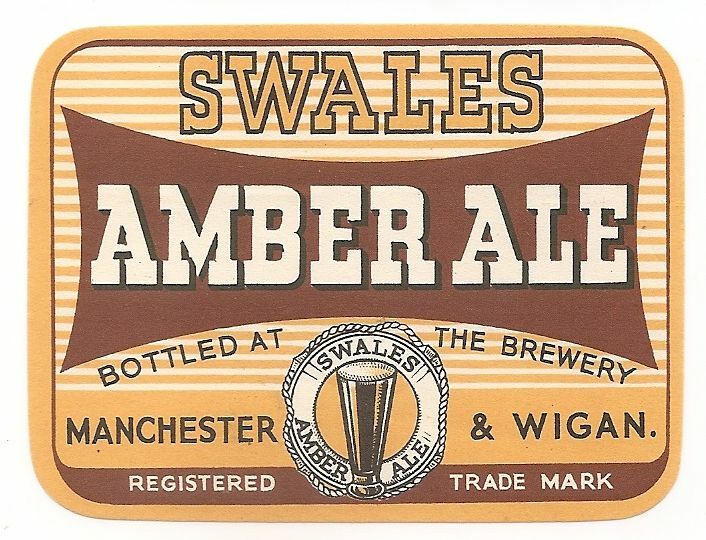 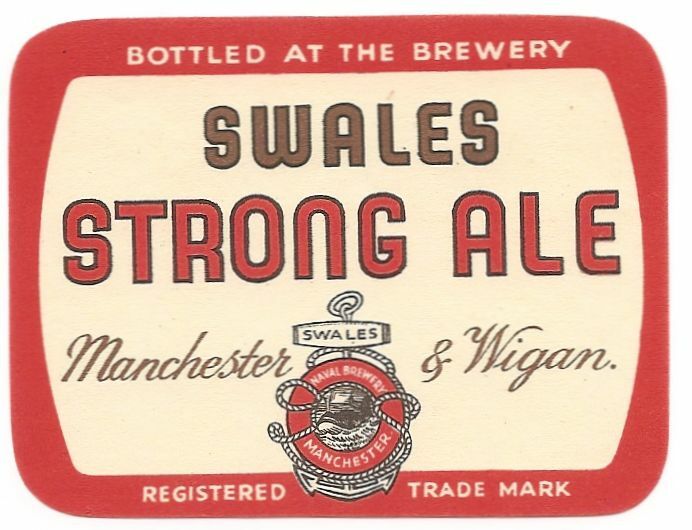 In the mid 1950s the glass, lifebelt and rope trademark replaced the earlier one; both Manchester and Wigan are still on the labels. 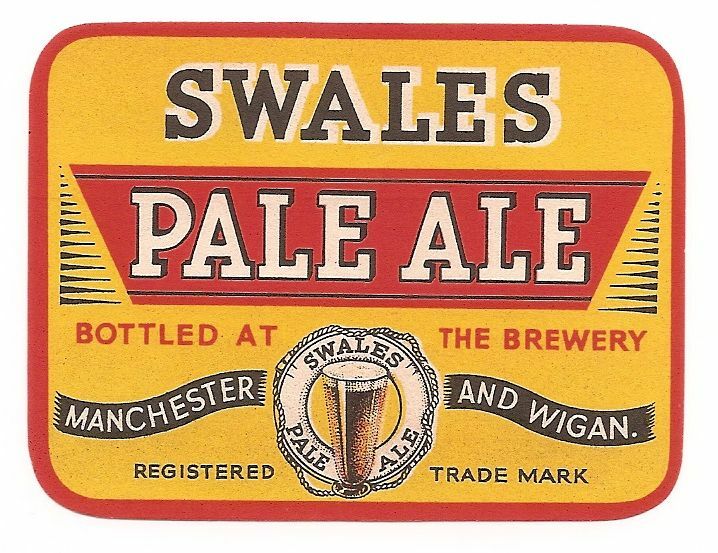 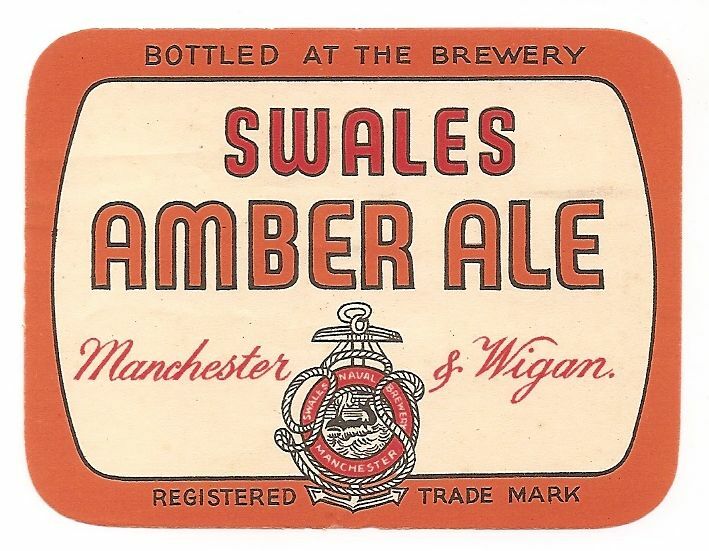 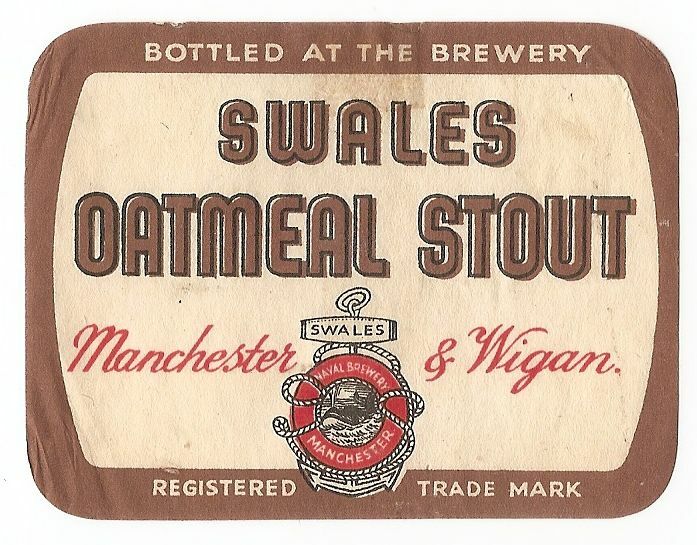 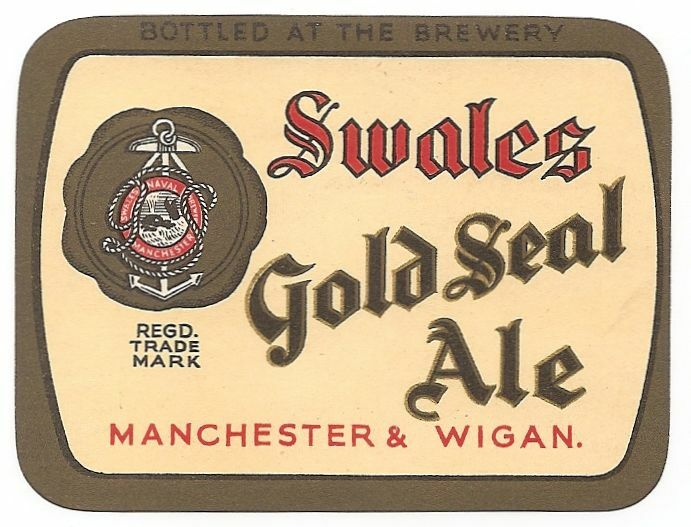 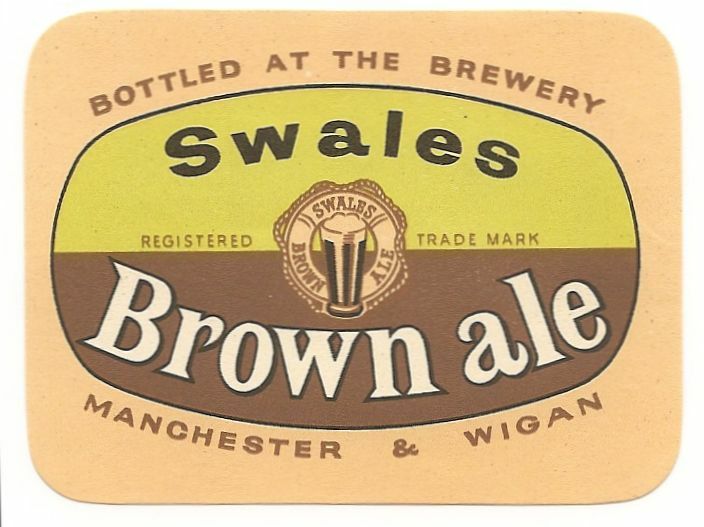 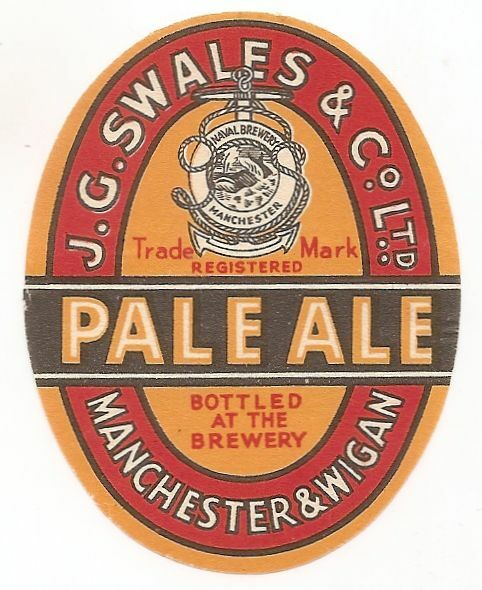 The Wigan brewery closed in 1961 and the last two labels are after that date. 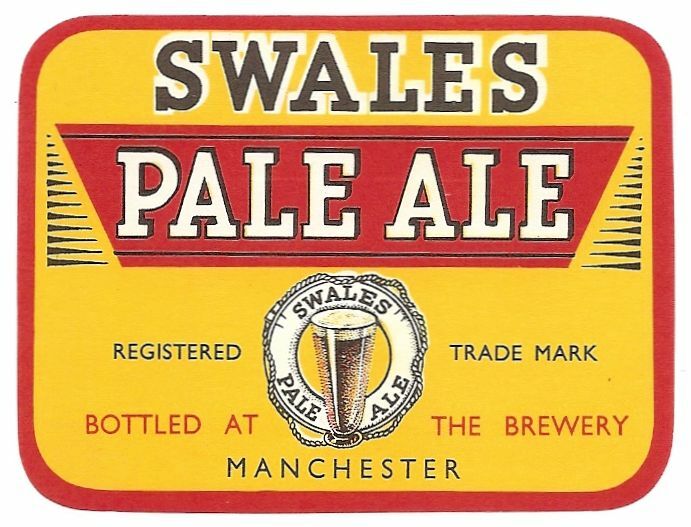 Another set of vertical rectangular labels was introduced in 1964.